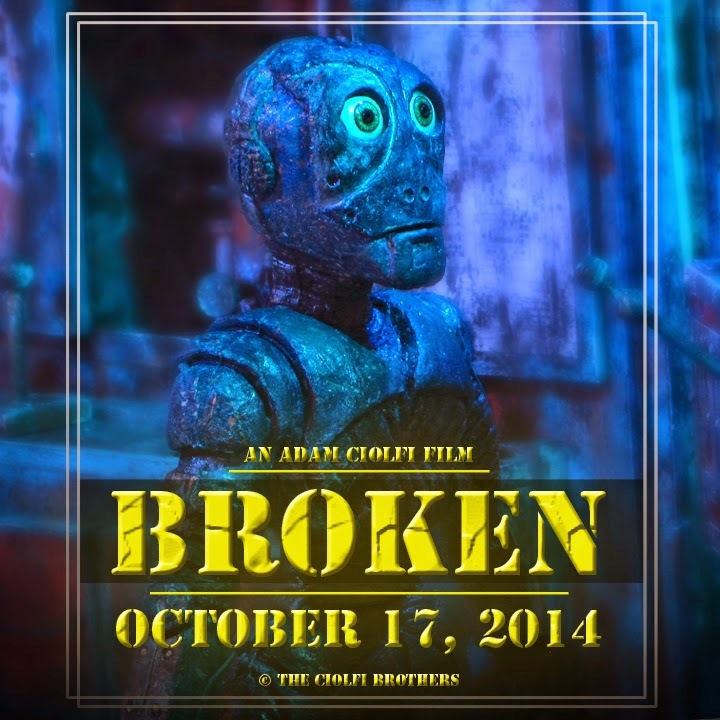 BROKEN is finished and will be posted on line on FRIDAY OCTOBER 17. It was not my intention but it seems only fitting that the film be ready for Halloween. I had planned to submit it to a number of film festivals but a majority of the festivals best suited for the film are happening this month or have just past and I have no intension of waiting a full year before making the film available. Besides, a year from now I'll be knee deep in my next film which I will be announcing very soon.